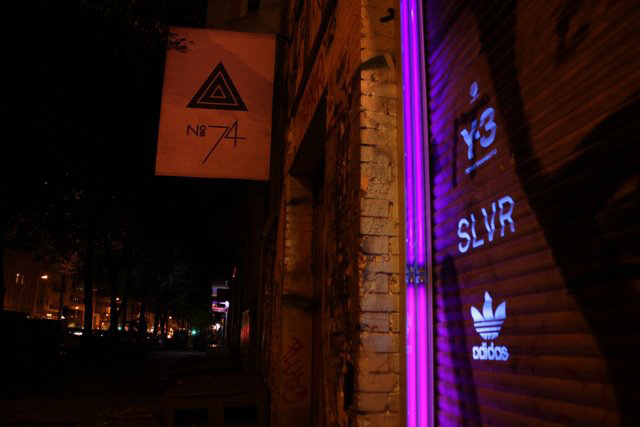 The idea behind the No.74 light installation was to show the store’s offerings even when it’s closed. 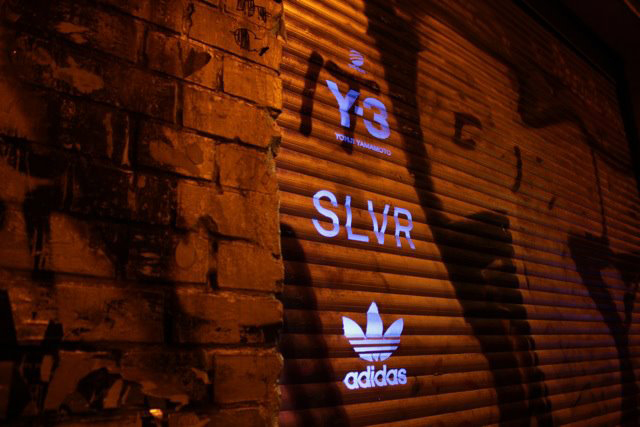 The installation is only visible in the dark. 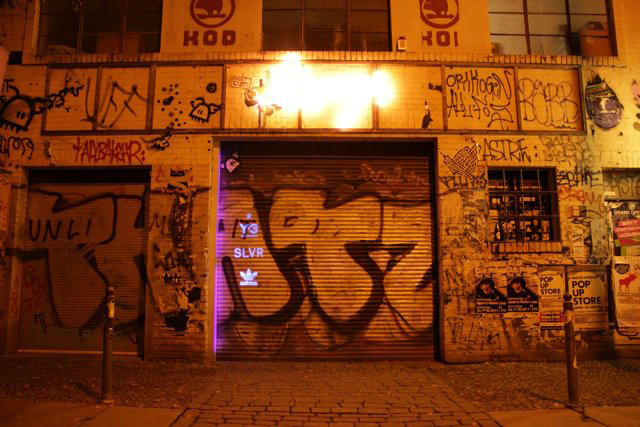 While passing the gate of the former garage by night you get a glance at the carried labels when their logos are illuminated by ultraviolet light.